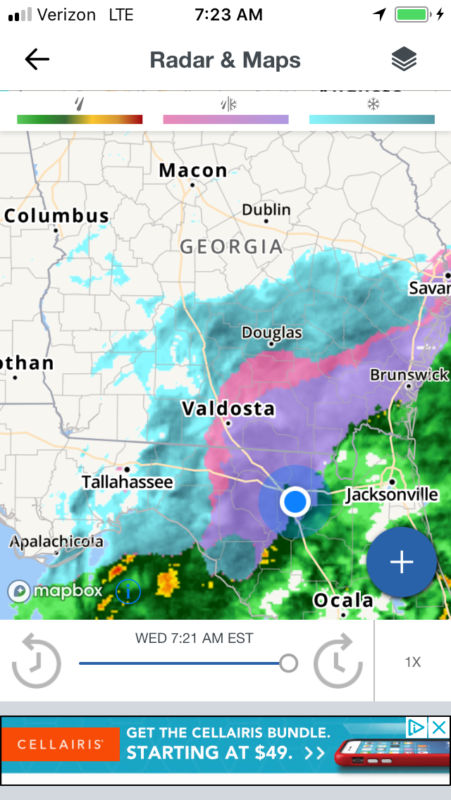 Winter in the north Florida area has roared in like a lion this month. Not only did we have snow in portions of this area earlier this month last night we got down in the teens here at our the county park where we are currently workamping. Most people come to Florida for warmer temperatures and our more than average nice weather when the snow is blowing a blizzard in the northern, central and western states this time of year. Being in an RV this time of year can bring some interesting challenges for those of us living in them full-time. It might not snow here in this area but we still have to keep the water flowing and our little camper warm throughout the night. Thankfully, space is small compared to a home or apartment but the walls and windows are a lot thinner and not as well insulated. To temporarily help with this situation we alternate between a small space heater that doesn’t have a lot of watts and has a thermostat and will turn itself off should it get tipped over. And we light the propane oven for 15 minutes every hour or so until we go to be. We have also place bubble wrap sheets on all the windows. This is an expensive way to keep some of the cold air from seeping into the RV. Of course, we all have to wear socks on our feet and have lap blankets on while we are watching TV. Outside the trick is to wear layers. A cotton layer of T-Shirts and flannel pajama pants, the middle layer of jeans and flannel shirts and, finally, the other layer of jackets, gloves, and shoes with thick socks. When there is frost on the ground we have been using our personal vehicle to open and close the park because our Gator doesn’t have a windshield. You don’t want to be barrelling around the park, trails, and roads in your park with no windshield in 20 to 30-degree weather even if you are in Florida. You don’t want to put your bare hands on any pipes, hoses or metal fencing on these mornings. We hope that our fellow workampers further south are having a better time of it and hopefully this will be the last week of this silliness. The one great thing about all this is that the weather is killing all those extra mosquitoes for us. Maybe this spring won’t be as buggy!